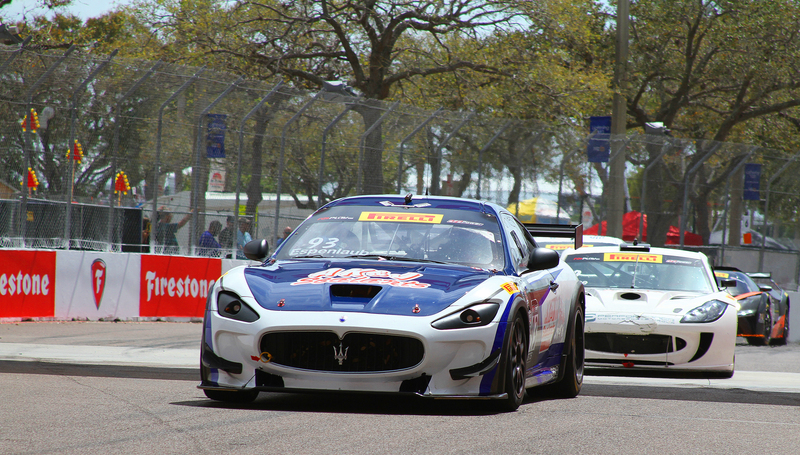 ST. PETERSBURG, Fla.—Jack Roush Jr. scored his first win in Pirelli World Challenge’s GTS class in the series’ third race of the season, at St. Petersburg, Friday, March 11, but the real race went on behind him. 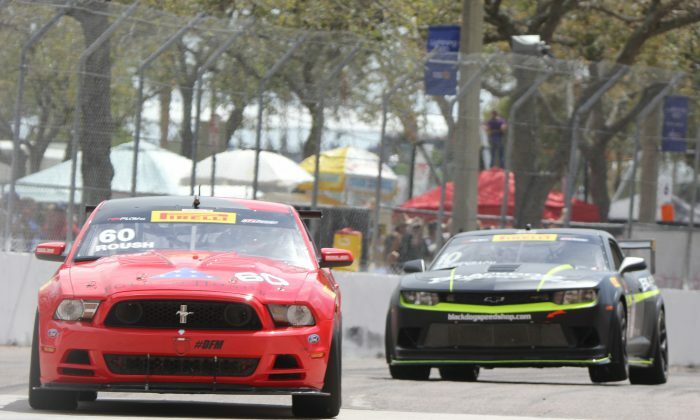 Roush, who has ten wins in his famous family’s #60 Roush Performance Mustang in the Continental Tire Sports Car Challenge, moved to PWC in 2014 but victory eluded him through his first two seasons. 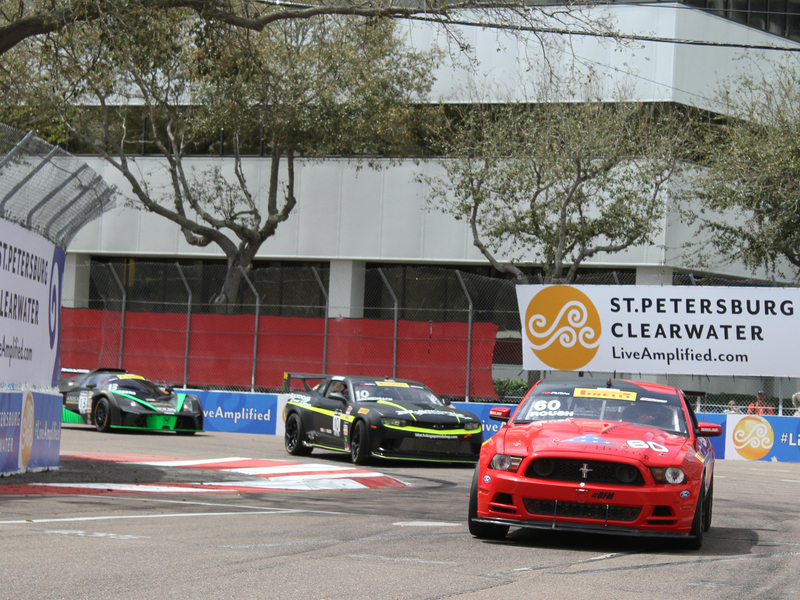 A t St. Pete in the third race of the 2016 season Roush started from the pole and drove away from the field, at one point leading by eight seconds and eventually winning by 2.6 seconds. While Roush cruised comfortably to the win, the battle behind him started hard and grew increasingly more intense. 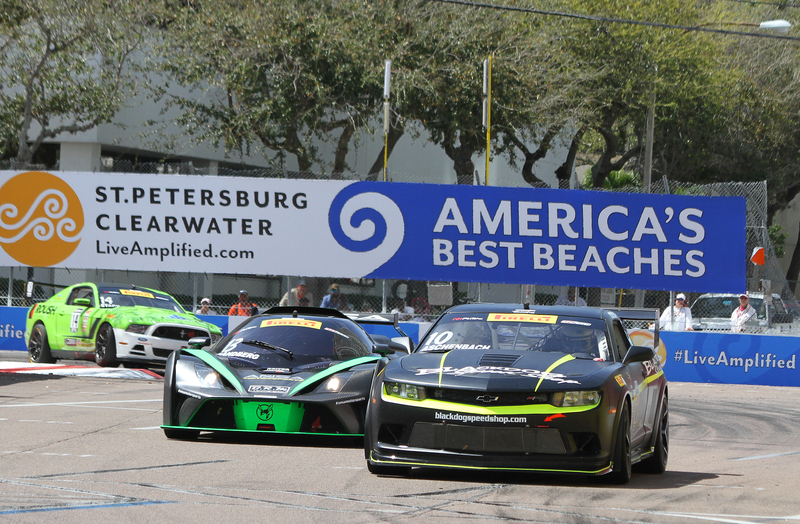 Lawson Aschenbach, in the #10 Camaro Z28 and Brett Sandberg in the #13 KTM X-Bow GT4 went side-by-side through the first corner, with Aschenbach pushing his way into second. 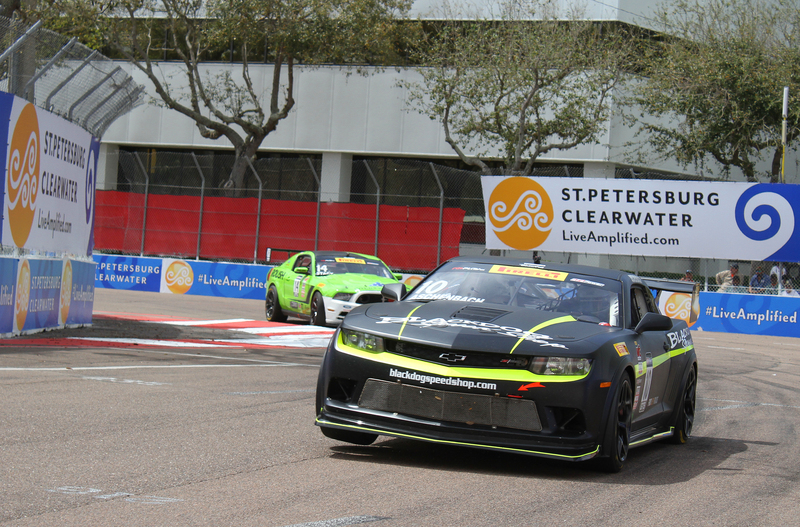 This pair battled through most of the race while Nate Stacy in the #14 Roush Mustang pursued the pair. Finally Stacy made a move on both cars in Turn One, bouncing off of Aschenbach and into second ahead of Sandberg. 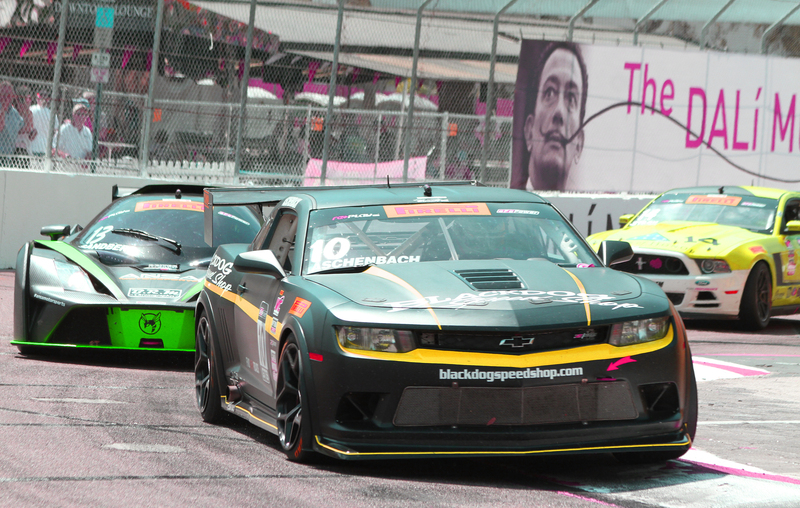 Aschennbach’s battered Camaro dropped back to sixth while Sandberg got by Stacy to take second. 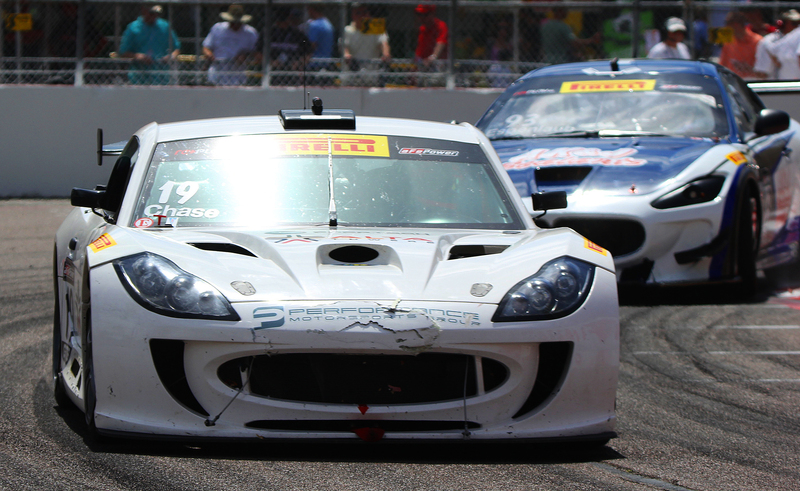 The GTS cars race again Saturday evening at 5:10 p.m. The race is streamed live at http://world-challenge.com/streamvideo. 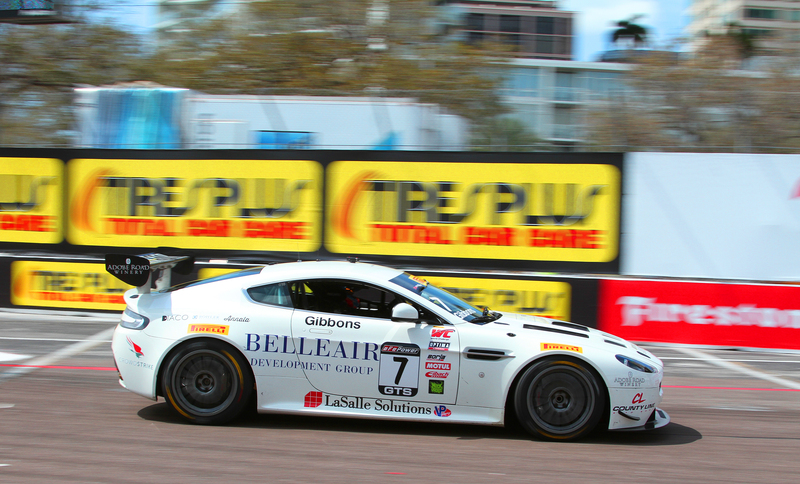 Live timing and scoring can be found at http://worldchallenge.growsites.net/.